I have been in practice since ’04 and do not know where the time has gone; it seems like it was just yesterday when I treated my first client. My passion lies in working with people from in utero to end of life. 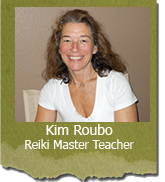 I specialize in treating people through Reiki and abdominal unwinding. The techniques I utilize calm the autonomic nervous system which in turn helps relieve pain, stress and improves breathing. I also specialize in practitioner training as well as teaching people of all ages how to calm their own nervous system in order to alleviate symptoms, which may arise as a result of stress or a specific diagnosis. One of my main goals is to bring Reiki to the “mainstream,” while helping people discover their individual healing path.